President Donald Trump “would have a nightmare on his hands” if he fired Attorney General Jeff Sessions, says Anthony Scaramucci, the former White House Communications Director. However, he added, that if he were still working there, he would not help Trump sack Sessions. “No, because he would have a nightmare on his hands in politics. It’s very, very different in politics, Ana, than in business,” Scaramucci said. Trump is stepping up attacks on Sessions and seems to be preparing the groundwork to fire the country’s top law enforcement official following this week’s guilty plea from his one-time personal lawyer Michael Cohen, the tax fraud conviction of his former campaign manager Paul Manafort as well as news that the Trump organization’s longtime chief financial officer might be cooperating with prosecutors. 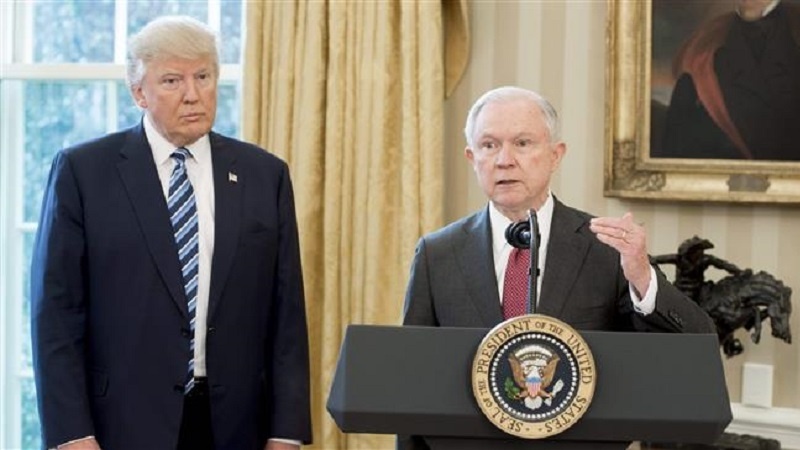 The president has been at odds with Sessions ever since the attorney general rescued himself from the FBI investigation into the alleged Russian meddling in the 2016 presidential election, which has resulted in the mounting legal problems for Trump and his associates as Special Counsel Robert S. Mueller investigates potential collusion. In an interview on Thursday, Trump said Sessions “never took control” of the Justice Department. Trump did not stop his barrage against Sessions, posting a series of tweets on Friday and Saturday. Scaramucci said he would tell Trump to end his Twitter attacks, particularly when it comes to Sessions. Meanwhile, Congressional Republicans, who were united in their support for Sessions and strongly against his ouster, now appear to be wavering, and that has encouraged Trump to suggest he may soon take action.